I got the dreaded “you need to bring a side dish” assignment again for our summer Sunday dinner a couple weeks ago. I searched through my files for something that sounded good, knowing I wanted to stay healthy. I found this recipe in my email. It was from my co-worker, Brian! 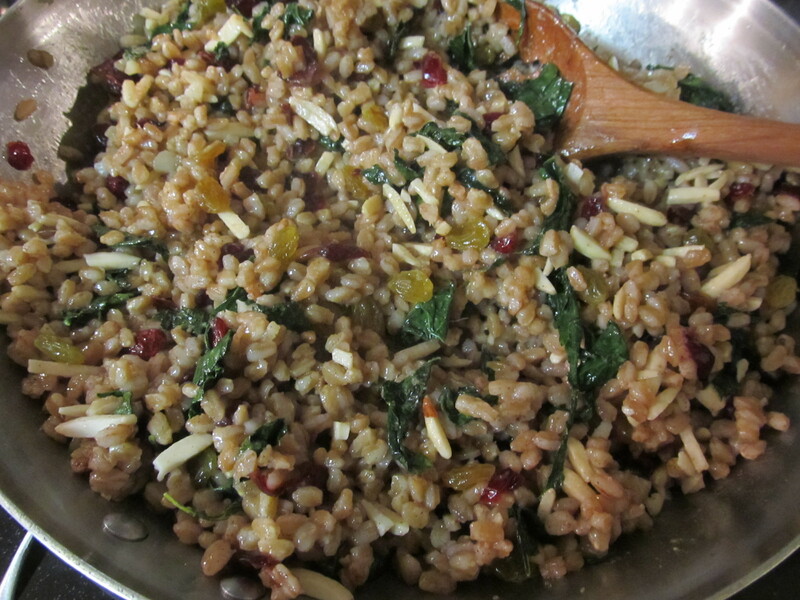 It utilizes farro – a grain made up from different wheat species. Oddly enough, the exact definition is not too clear. It is a dried grain that you cook in water until soft, but it still has a crunch! 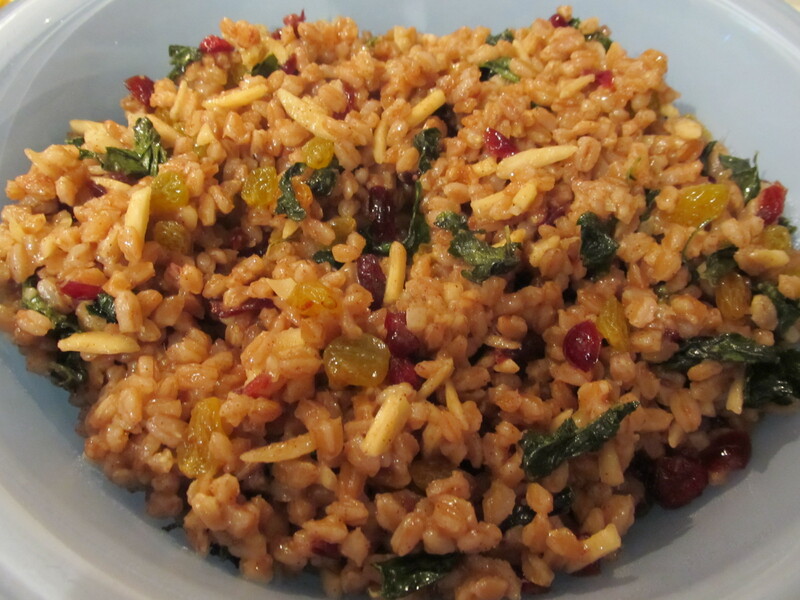 This dish is interesting because you cook the farro with allspice added to the water. So it has a semi-sweet taste. And that’s before you add the rest of the ingredients! This dish is also perfect for the fall – the flavors are so exotic. 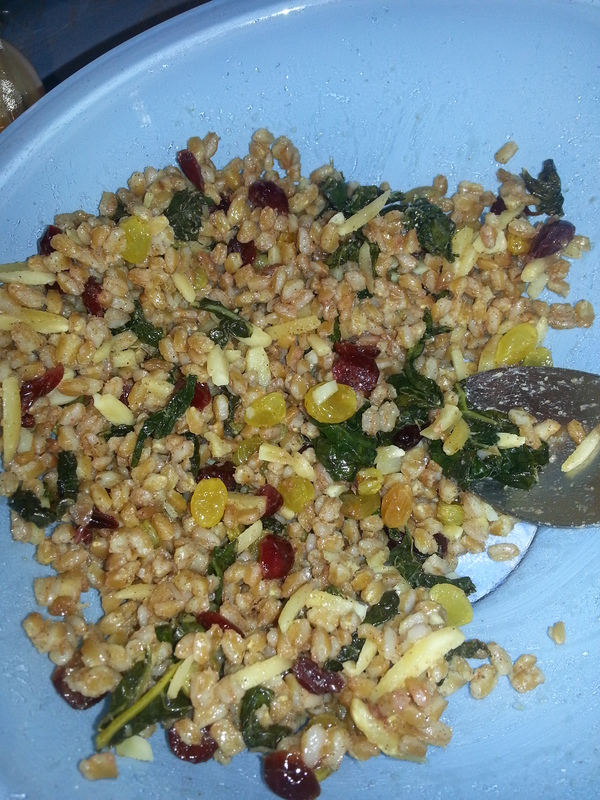 The health factor in this salad is amazing – healthy grain, kale, raisins, almonds, and pomegranates! I believe there are some superfoods in there for sure!! Pomegranates aren’t in season during the summer unfortunately, so I substituted some craisins. It worked out well! It tastes exotic and delicious. There is a satisfying crunch as well. And it is truly an intensely healthy side dish to accompany any meal! We paired ours with salmon/shrimp and grilled romaine. 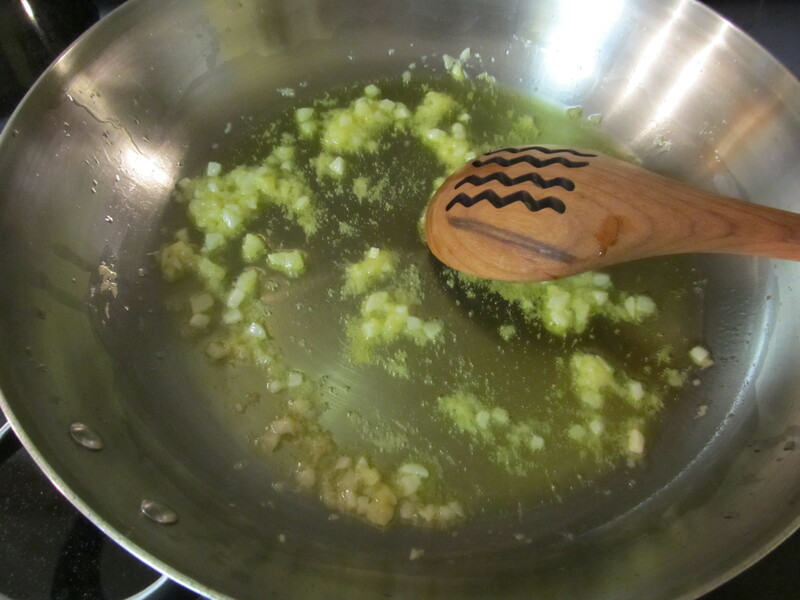 In the mean time, saute ginger and garlic on med low heat in 3 T Olive oil. 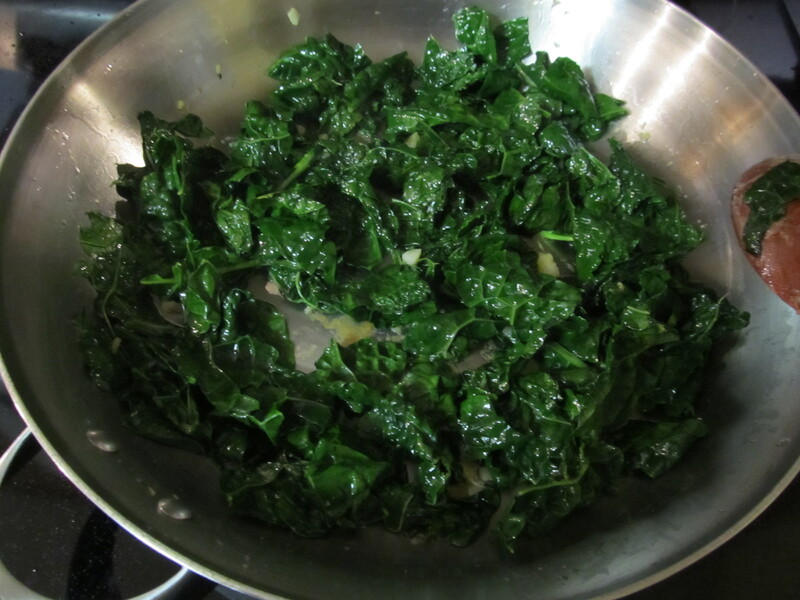 When lightly browned add chopped kale. 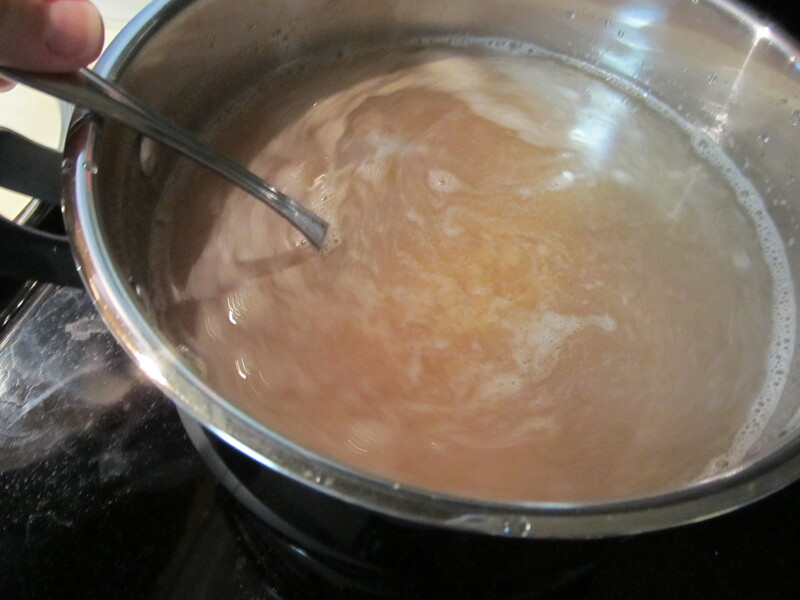 Cook slowly on low heat, stirring often for about 5 min. 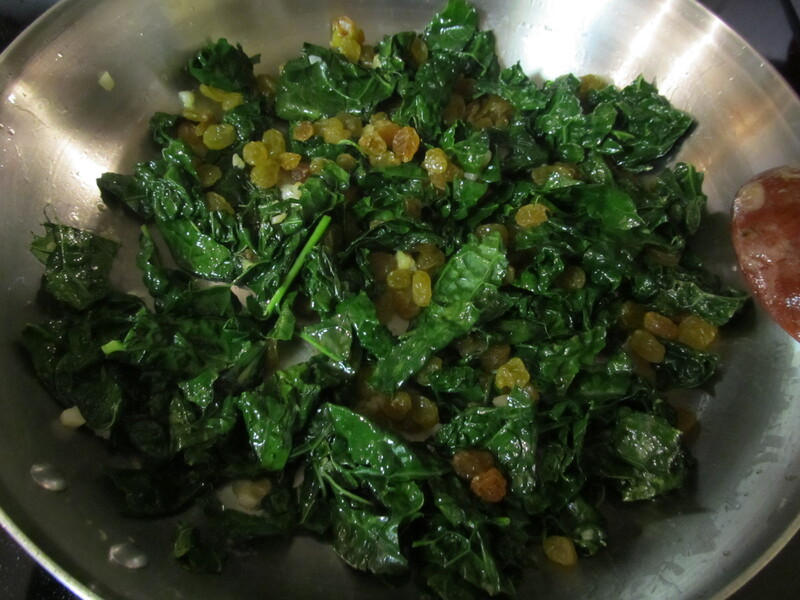 Add 1/3 C golden raisins. 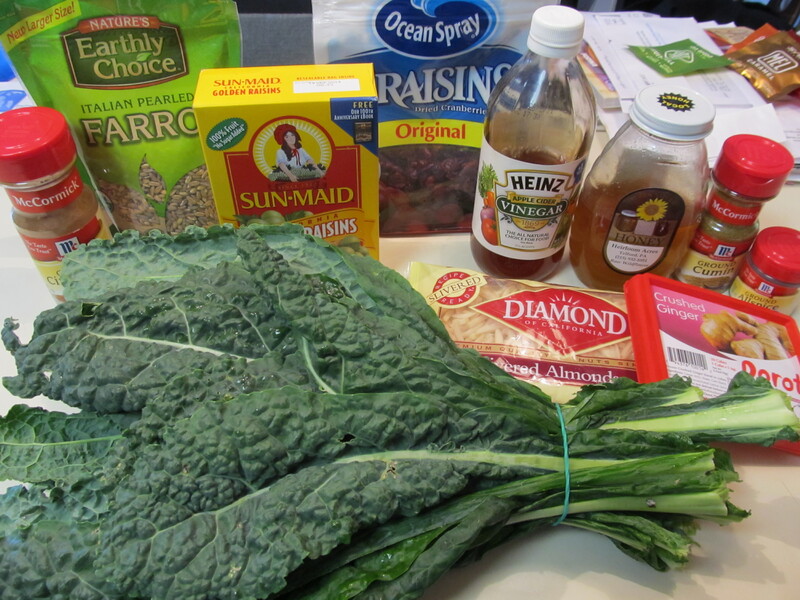 Let simmer on lowest setting until kale is tender …about 15min. When farro is tender, pour it all into the sauté pan with the kale. Its ok if there is a little water still in the farro. Pour it all in. Add the salt, spices, honey, vinegar and sliced almonds. Let flavors meld for a few minutes on low heat. Just before serving toss in the fresh parsley and pomegranate.